"This is such a great event to attend. A great event for a great program." Representatives from the South Bend Community School Corporation (SBCSC), community partners, and the staff of ND TRiO gathered to discuss the annual objectives for the Talent Search and Upward Bound programs. 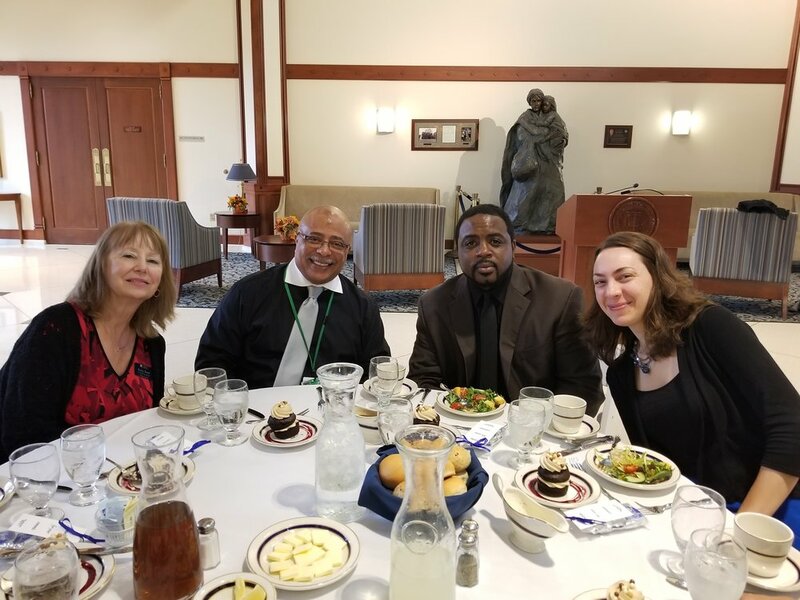 This event was an opportunity for community and school partners to learn more about ND TRiO and to meet the program's staff members face-to-face. 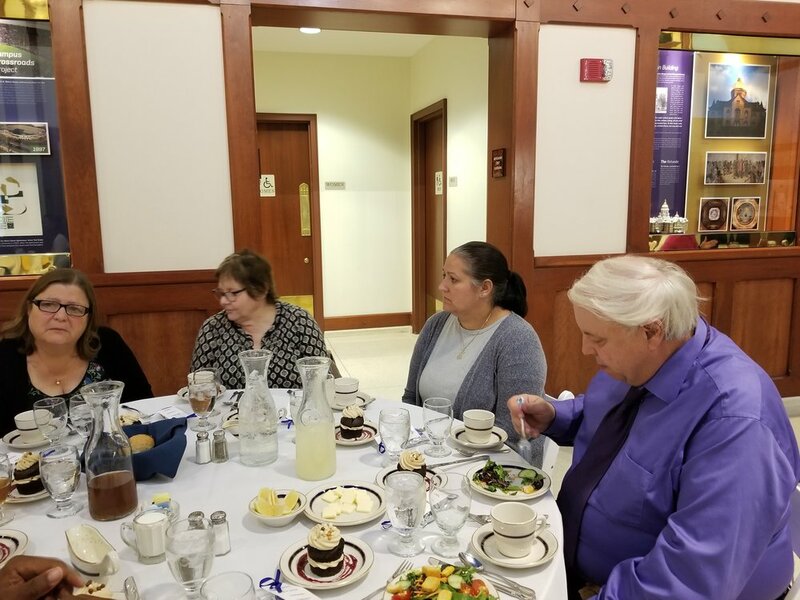 Many of the attendees commented that it was great to put a face to the names and voices of TRiO staff members with whom they communicate regularly on behalf of the students in the program. Director of ND TRiO, Ethan Zagore provided the opening remarks followed by an introduction of staff members by Assistant Director of ND TRiO, Nijinsky Dix. 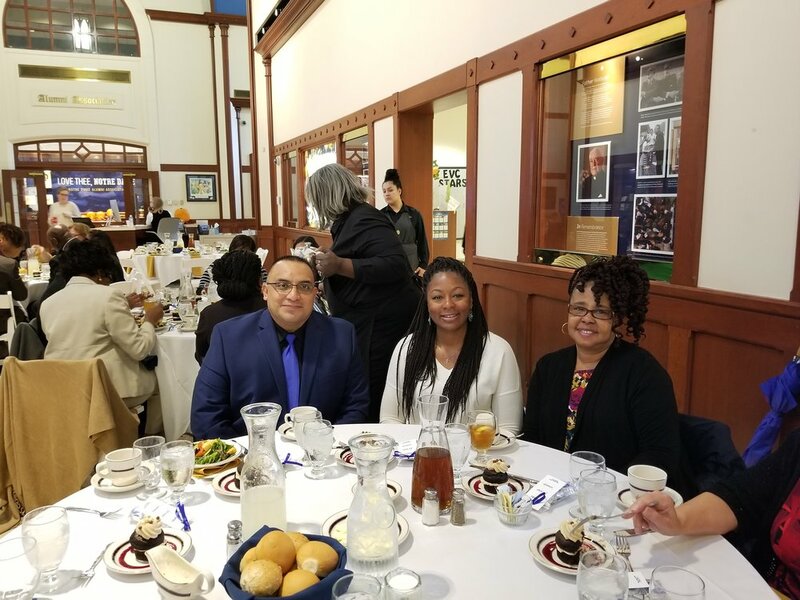 Associate Director of Upward Bound, Rafael Marín, and Associate Director of Talent Search, Sonya Watkins described the programming objectives of Upward Bound and Talent Search, respectively, while highlighting how each program meets and exceeds the goals set forth by the federal grant. Dr. Kenneth Spells, Superintendent of the SBCSC was presented with an award recognizing the essential and longstanding partnership between local schools and ND TRiO Programs. “Without this partnership, the programs would not be the success that they are, in fact, they would not even be possible,” said James Desits, advisor for Talent Search. 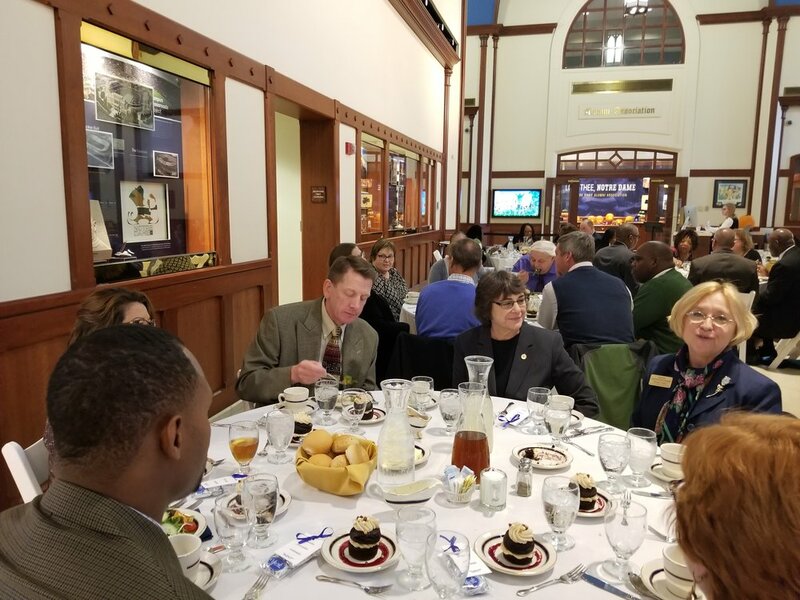 The presentation was directly followed by a luncheon held in the Eck Visitor's Center to thank the SBCSC and all community partners for their help in making the University of Notre Dame TRiO Programs a tremendous success.